The cross-country road trip is a well-established photographic genre, perhaps easily taken for granted thanks to the ubiquity of the amateur photographer and the ease of travel. Of course, the open road has also served as a muse for fine artists as long as there have been roads and cameras, providing endless inspiration in the sights of everyday roadside Americana. 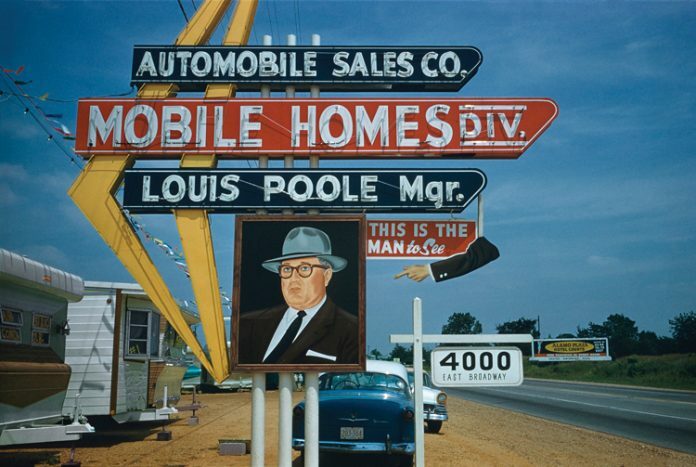 A selection of these images are under special consideration at the Detroit Institute of Arts, which is hosting The Open Road: Photography and the American Road Trip this summer. It’s the museum’s first show dedicated to the genre, highlighting more than 100 images from 19 photographers spanning from 1955 through 2012. Deciding to start with 1955 is significant: That’s when the Swiss-born photographer Robert Frank set out on a Guggenheim grant-funded yearlong road trip to explore and document his new homeland. The resulting body of work was collected in the groundbreaking The Americans, which took a warts-and-all look at the country through Frank’s mysterious and stark black-and-white images. 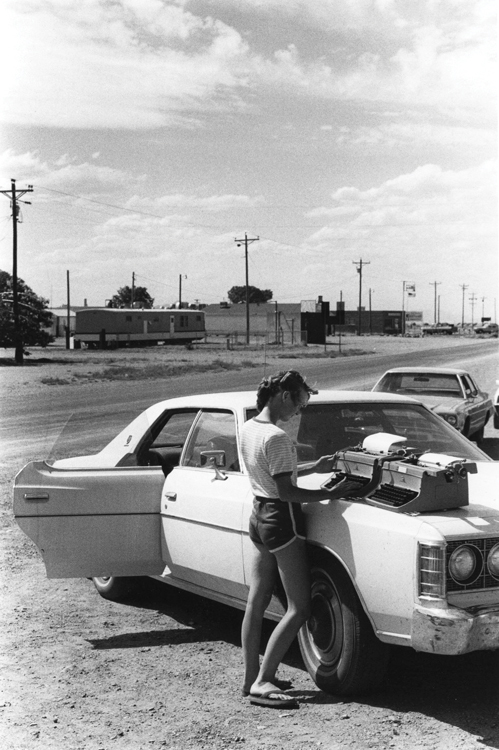 Frank’s collection wasn’t the first body of work to tackle the subject but it was certainly one of the most influential, and all subsequent American road trip photography inevitably stands in Frank’s shadow. As such, his work serves as the launching point for The Open Road. Given Frank’s fascination with the road, it should be no surprise that his journey took him to Detroit, and The Open Road highlights the Motor City image that is quintessential Frank. Titledâ€„“Drive-In Movie, Detroit,”â€„the photo was taken at the now-defunct Gratiot Drive-In. Above, a giant film screen rises into the sky, showing a scene featuring two actors. Below, a couple watches the film stoically inside of a carâ€…—â€…together, yet alone. Not every photographer in The Open Road aims for such profundity, however. An image (Mount Rushmore, South Dakota) by Lee Friedlander reduces the massive Mount Rushmore to an almost humorous secondary element as a small, warped reflection in a window. Meanwhile, Ed Ruscha’s collection Twentysix Gasoline Stations presents a rather straightforward documentation of the retro gas stations he encountered en route from Los Angeles to Oklahoma City. And Stephen Shore follows suit, elevating such mundane subject matter as his diner pancake breakfast to the level of fine art. “U.S. 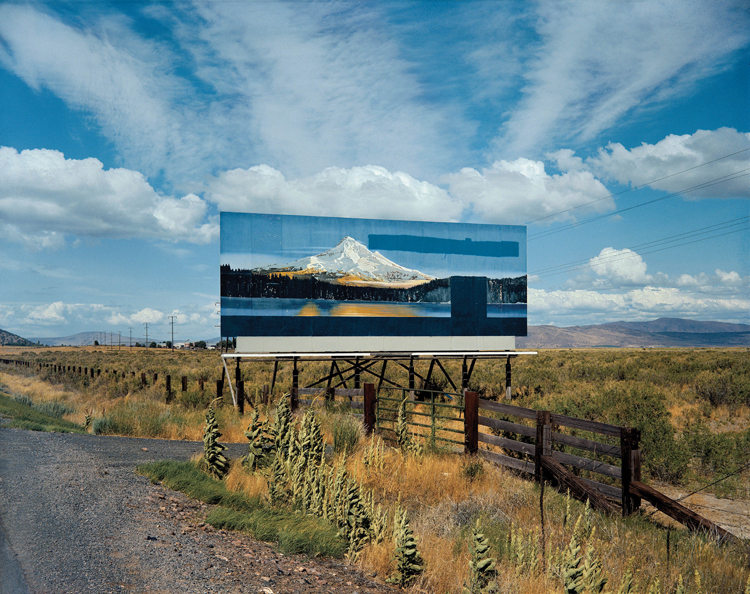 97, South of Klamath Falls, Oregon, July 21, 1973,” Stephen Shore (303 Gallery, N.Y.). Wolff says that the only criteria for the images selected were that they must be inspired by the road and the road trip, but that it also needed to feel like it moved the genre along.â€„“It was really important that the bodies of work talk to each other,”â€„says Wolff. “We wanted to show how this conversation may have started with Frank, but also show where it ended up and how that genre progressed.”The show is accompanied by a coffee table book by the same name, written by David Campany. Originally published in late 2014, the book is not a traditional exhibition catalog in that it features more than 250 images. But in mounting the show, the DIA brings new context to the work. 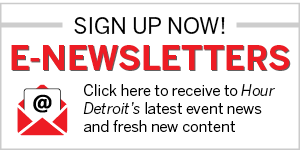 Of course, an appreciation of the car is not unique to only Detroiters. Next articleAs Seen on Email!